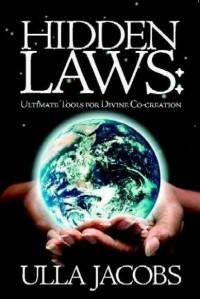 “Hidden Laws: Ultimate Tools for Divine Co-creation” offers spiritual principles for self-empowerment. In ancient times, mystery schools offered this knowledge to only a few. Universal Law is always at work. Hidden Laws provides access to these laws and an understanding of how they impact our daily lives. It is my mission to offer these principles to everyone. 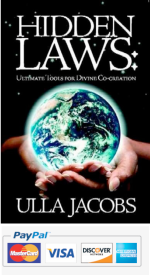 During the writing of this book, I began to notice similarities between these laws and the messages presented by Jeshua ben Josef (Jesus) over 2000 years ago. I believe the true purpose of the messages given by this Ascended Master was to provide self-empowerment to all people, regardless of religious affiliation. From this work a second book became important to write. This book showcases his true teachings as I have come to know them. Universal truths shape all of life through an energy force that drives everything in the universe and has been discovered via quantum mechanics. Knowing how to use this energy to our advantage will give us a more pro-active approach when dealing with the daily interactions of life. We become aware of the pitfalls and can recognize alternative ways to cope. We begin to realize that we are always creating via the choices we make. I invite you to explore Nature’s Laws with me. They are meant to be of use to all of us. Allowing for co-creation with the universe, they can provide a roadmap through life.